A King makes a promise to his dying wife to marry only someone with her golden hair. The King finds his eyes are turned by his maturing daughter. Realizing her Father’s intentions, Princess Aurelia tries to trick her Father by requesting impossible gifts: Dresses created by the Sun, Moon and Stars and a Coat made of a Thousand furs. When she discovers his success, Aurelia decides to sacrifice her privileged life and escapes the Kingdom disguised in the cloak, and under a new name, “Allerleirauh.” Aurelia enters the Kingdom of Saarland der Licht where she is taken under the wing of the handsome Prince Klaus. 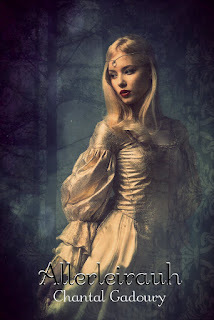 Aurelia must face herself, her past and her fears in her journey of self discovery. 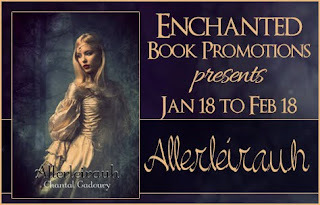 “Allerleirauh” is a Retelling of the Grimm Brothers’ Fairy Tale classic. 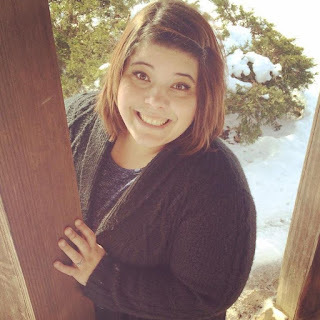 Chantal Gadoury is a young author who currently lives in Dover, Delaware with her two cats, Theo and Harper and her fiance, Robert. Originally from Muncy, PA, Chantal appreciates the beautiful mountains and enjoys visits back to see her family. She also loves anything Disney and has a reputation of beating anyone at a mean game of Disney trivia. When Chantal is not writing, she enjoys painting, watching British History Documentaries, drinking iced-coffee and spending time with loved ones. Chantal first started writing stories at the age of seven and continues on with that love of writing today. Graduating from Susquehanna University with a Creative Writing BA, writing novels has become a dream come true.